This entry was posted in Health Care, Religion, ZBOA and tagged 2018-09-11, APP-2018-06, Crum Road, Deloris Oliver, family ties, Georgia, Gretchen Quarterman, Health Care, LAKE, Lowndes Area Knowledge Exchange, Lowndes County, N. Oak Street Ext., New Hope Missionary Baptist Church, Regular Session, Religion, Scottie Orenstein, setback, Shelby Stovall, Sylvia Shaw, Tanika Christopher, Valdosta, Valdosta-Lowndes County Zoning Board of Appeals, VAR-2018-15, VAR-2018-16, W. Gordon Street, ZBOA on October 4, 2018 by John S. Quarterman. ZBOA has on its agenda for Tuesday setbacks for the same Stovall property at 6002 N. Oak Street Ext., Valdosta, that is on the Lowndes County Commission agenda the same day for removal of the prohibition on personal care homes. Plus a family ties variance in the county and a church setback in Valdosta. This entry was posted in Health Care, Religion, ZBOA and tagged 2018-09-11, APP-2018-06, Crum Road, Deloris Oliver, family ties, Georgia, Gretchen Quarterman, Health Care, LAKE, Lowndes Area Knowledge Exchange, Lowndes County, N. Oak Street Ext., New Hope Missionary Baptist Church, Regular Session, Religion, setback, Shelby Stovall, Sylvia Shaw, Tanika Christopher, Valdosta, Valdosta-Lowndes County Zoning Board of Appeals, VAR-2018-15, VAR-2018-16, W. Gordon Street, ZBOA on September 10, 2018 by John S. Quarterman. Last thing last Tuesday, they approved a newspaper insert to commemorate former ZBOA member Mike Hill, who recently died. ZBOA granted 5:1 a request in VAR-2017-06 for lots smaller than in the county’s Family ties requirement. Again 5:1 they granted the VAR-2017-07 request for a barn setback. For each of those cases, one person spoke for. This entry was posted in Transportation, ZBOA and tagged 6 June 2017, 6119 Shiloh Road, 7040 Old Valdosta Road North, APP-2017-02, APP-2017-03, Clyattville Nankin Road, Cypress Street, family ties, Georgia, Gretchen Quarterman, Kenneth & Deborah Anderson, LAKE, Lonnie M. Denton, Lowndes Area Knowledge Exchange, Lowndes County, Odessa G. Denton, Regular Session, Rodney Tenery Jr., Roe Property, Stacy Rountree, Transportation, ULDC, Unified Land Development Code, Valdosta, Valdosta-Lowndes County Zoning Board of Appeals, VAR-2017-06, VAR-2017-07, VAR-2017-09, Victoria Copeland, ZBOA on June 12, 2017 by John S. Quarterman. This entry was posted in Economy, ZBOA and tagged 5 May 2015, Advertising, APP-2015-02, Autumn Ridge, Economy, Fairway Outdoor Advertising, family ties, Franklin Bailey, Georgia, Ginger Trail, Gretchen Quarterman, Hill Avenue, LAKE, LDR, location, Lowndes Area Knowledge Exchange, Lowndes County, Marlene Basson, N.L. 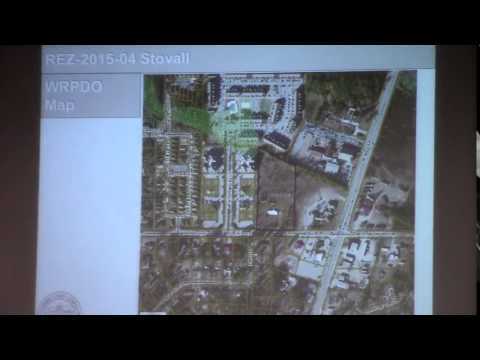 Bassford, overpass, Regular Session, Rodney Tenery, setback, sign, Summer Hill, ULDC, Valdosta, Valdosta-Lowndes County Zoning Board of Appeals, VAR-2015-07, VAR-2015-08, Wisteria Lane, ZBOA on June 2, 2015 by John S. Quarterman. Today at 2:30 PM, Fairway wants to put its billboard back up at the new overpass: way up. Will ZBOA approve a 60-foot-high billboard? Plus in the county, a building location variance and a Family Ties variance. Here’s the agenda, from the City of Valdosta website. This entry was posted in Economy, ZBOA and tagged 5 May 2015, Advertising, APP-2015-02, Autumn Ridge, Baseball Field, Economy, Fairway Outdoor Advertising, family ties, Franklin Bailey, Georgia, Ginger Trail, Gretchen Quarterman, Hill Avenue, LAKE, LDR, location, Lowndes Area Knowledge Exchange, Lowndes County, Marlene Basson, N.L. Bassford, overpass, Regular Session, Rodney Tenery, setback, sign, Summer Hill, ULDC, Valdosta, Valdosta-Lowndes County Zoning Board of Appeals, VAR-2015-07, VAR-2015-08, Wisteria Lane, ZBOA on May 5, 2015 by John S. Quarterman. An individual with a request about family land got told by staff he didn’t fit the letter of the zoning code, in sharp contrast to the Moody Housing item which got to slide on traffic, safety, use of local contractors, and vague affirmations from the developer that maybe there’d be no mold or unpaid subcontractors this time. Most of the attendees didn’t care, and walked out as soon as this item started. But some of the Commissioners did care. County Planner Jason Davenport said nobody is currently renting the property and “you have the recommendation from staff”. This entry was posted in GLPC, Government, History, Lowndes County Commission, Planning and tagged 29 July 2013, family ties, Georgia, GLPC, Government, Greater Lowndes Planning Commission, Gretchen Quarterman, History, Jason Davenport, LAKE, Lowndes Area Knowledge Exchange, Lowndes County, Lowndes County Commission, Planning, Regular Session, ULDC, Valdosta, zoning on August 11, 2013 by John S. Quarterman.